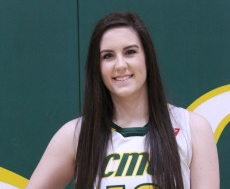 CMU Women's Basketball has announced that Glenlawn Collegiate's Katelyn Campbell, as their most recent addition to the 2016-17 roster. A member of the Manitoba Provincial team at the under 14 and under 16 level, Campbell was part of a bronze medal performance in Edmonton and helped Team 'Toba to a Western Canada Games silver medal in Kamloops in 2013. CMU Head Coach Joe Di Curzio commented on the 6'0 post; "Katelyn is a great student-athlete. She is a very tough inside player who is a strong rebounder. She has the capability of defending the MCAC's best post players and she can create second-change opportunities and finish on the offensive end of the court." In 2014, then a Grade 10 Katelyn Campbell, led the Glenlawn Lions to an undefeated Junior Varsity season, earning selection as the 'AAAA' JV Girls Provincial Most Valuable Player. This season, after a solid regular season, the Lions were eliminated in the 'AAAA' Girls Provincial quarterfinals by the Vincent Massey Trojans, one win shy of an appearance in the Final Four. Campbell played her club basketball locally with Junior Bisons and Team Edge but didn't limit herself to the basketball court. In her grade 12 year at Glenlawn, the versatile student-athlete helped the Lions to a Final Four volleyball appearance in 2015 'AAAA' Girls High School Provincials and played pivot on the Provincial Champion Glenlawn Girls Team Handball team. The move to university will cause Campbell to focus all her attention her basketball game but Di Curzio believes that her success in volleyball and team handball will only enhance her further development as she begins her MCAC career, "Katelyn has been part of successful programs in all the sports she has played and along the way she has been a major contributor in the successes of those teams. It's a testament to her strong work ethic. We are very happy to have her with our program." 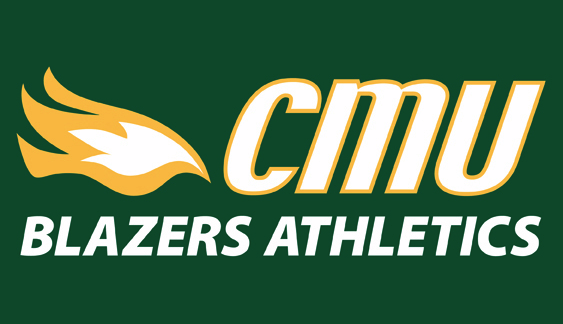 CMU Basketball will be making a major announcement in late April with regard to their plans for the 2016-17 season.